Ekwa Msangi on the set of "Farewell Meu Amor"
Tanzanian-American Ekwa Msangi, who grew up in Kenya and is based in the United States, talks about her multiple identities and their influences on her storytelling and filmmaking. Ekwa, you are a growing cohort of American/African first-gen filmmakers born or raised outside of the parents’ homeland telling stories about their hybrid experiences, dual identities, relationship with their birth home and their parents homeland. 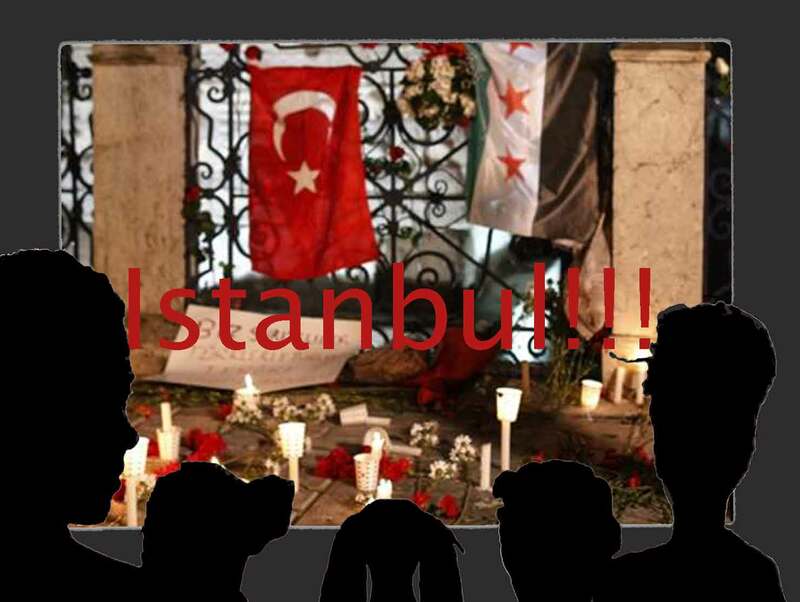 You, in fact are part of a cohort of “third culture individuals”. Talk a bit about yourself in relationship to these experiences. I was born during the time that my parents were living as students abroad, and then later our family moved to Kenya where my parents had lived/worked in the 60s during the first East African union and bought a house. So while I have always identified with being Tanzanian, I have always lived outside and have learned about Tanzania as a defence mechanism of sorts. When we moved back to Kenya in 1985, Tanzania’s first president Julius Nyerere, a socialist, stepped down from power and the country opened up to capitalism for the first time. Coming out of the Cold War, Tanzania was incredibly poor then, and although its merely an hour to the Tanzanian border from Nairobi, most Kenyans knew absolutely nothing about Tanzania, other than that Tanzania was a poor country where no one spoke English. At least that’s the feedback that I got from the people around me. I was from an immigrant family from a murky, poverty-stricken wasteland that was crossing the border and “stealing jobs” from Kenyans. I had kids ask me often times “what do you people have over there anyways?” Tanzania did not have television until the mid 90s so there was not any imagery of what it was like there. So when I would come back from our Christmas and Easter holidays, I would sit and regale my friends with adventure stories of my cousins and relatives, and the things they would say and how they would say it. Our slang, our new dances, the parties gone wrong…I suppose that was my first filmmaking, my first scriptwriting. Not because I was fabricating things, I was not. I was telling stories as I had seen and heard them, and often just as colourfully as they had been told to me. 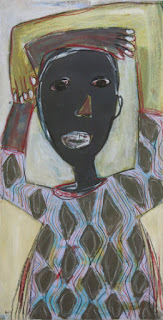 My father was an artist and a wonderful storyteller himself, and I remember him telling me that a big reason that he wanted me to grow up in Africa and not the US was because he wanted me to know Africa. To experience it first hand and not to grow up as a “minority.” I think he might have had some disappointments with what socialist Tanzania did or did not afford him as far as his career as an artist, but he always spoke with such pride about Tanzania and of our people. He believed deeply in the recording of oral histories, and would interview and talk to as many elders as he could. He instilled this importance of history keeping in me, so I tried to learn everything that I could. About my family history, about Tanzania’s legacy as a nation in support of many liberation movements, and about regular everyday life of the people that I know and love. The other thing that I will say has been a huge influence on me is language. While Kenyans speak Swahili, its use (outside of the coastal Swahili communities) is mostly for instructing servants and communicating orders. 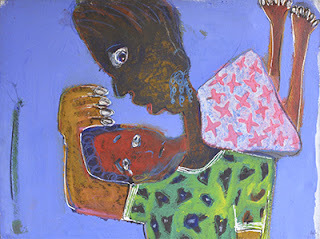 In Tanzania, its use is much wider, and therefore much more colourful in terms of expression. Most Africans (all?) speak whatever colonial language we inherited and it is used in instruction, education and government, but I find that Africans are most expressive and creative in our native languages. So even when we are speaking whatever foreign language we speak, we tend to be most expressive when we “pidginize” it in the way that we would say things in our mother tongue. I find that true of all African heritage people actually, including African Americans and Caribbean Americans too. The way which we say something, even if it is in English, is just so beautifully delicious to me! I was able to appreciate that as a child, translating stories and experiences from the colourful Swahili in which they were originally presented while trying to maintain the spirit in which it was said. How did you come to cinema? I came to cinema almost as a dare actually. Growing up my parents thought I would be a dancer at first, and then later a writer, but the idea of cinema came much later. In the 80s and 90s aside from never seeing any films or programs that reflected my life or that of anyone I knew, on television they showed some of the most god-awful films known to man. I am talking D-rate action films where the people drop dead before the bullets are fired, and it was like 30 remakes of Rambo. And why would any country need to watch Rambo so many times anyway? I would love to see the research on that film. I honestly believe that Africans made that film a hit by force! But I digress. I would complain bitterly all through the shows on TV, and finally my father was like, “Well then become a filmmaker so you can make your own films!” I am sure he meant that as an encouraging challenge as much as he wanted me to just let him watch his show in peace! I liked the idea, but had no idea how to become a filmmaker. An uncle, who had moved to Tanzania in the late 60s as a Black Panther, had worked in film in Los Angeles, and advised that I go to film school. And then a random late-night showing of Spike Lee’s film School Daze sealed the deal. I didn’t really understand the film, but I remember it having the most Black people I had seen in a film and the film director was Black too. And there was the 2-week run of Sarafina which was huge too. So when I left for the United States, I knew I wanted to make something like Sarafina (but without the unconvincing African character played by an American actor), and I knew there was a black filmmaker named Spike Lee. So I studied as much as I could about him and decided to do what he did. He went to school at NYU so I decided to do the same. It is funny because when I finally got into film school I was surrounded by people who were mostly brought there by their love of cinema. I was brought there by my hate of the kind of cinema that was offered to me as a young person and desperately wanting to see something different. 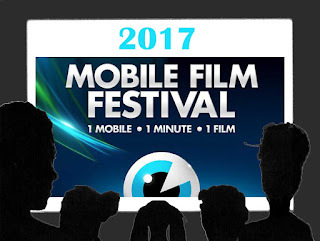 You recently completed a successful crowdfunding campaign for your film project, “Farewell” before discussing that experience, talk about your other films, Soko Sonko, Taharuki, The Agency and the reception to them. 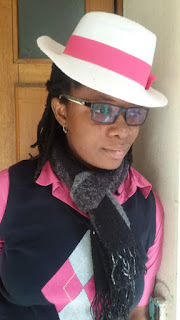 (Smile) The Agency was a TV show that I created, showran, and directed in 2008 in Kenya, and it was commissioned by South African DSTV company (MNET) which, were opening their East Africa branch and put a call out for local content. It was my first professional film experience out of film school and my first time shooting on the continent as well. I could tell you horror stories for days about that show, but the short version is that my producers mismanaged the production and so while we had fabulous scripts, an incredible crew and cast, we only managed to air 4 episodes before the show was cancelled so it crashed and burned before we really had a chance to breathe. It was an incredible experience though. Life changing. After The Agency was done and I had worked on two other local television shows, I came back to New York and decided to really focus on film work. Unlike the industry in Africa which is pretty open to direct whatever, the US industry is pretty narrow, so directing for TV does not mean you can easily hop into a film directing position and vice versa. Thus, Taharuki was born. I wrote it as an exercise in writing suspense, and only had the resources to shoot for one day with the help of friends. The premise came out of my time in Kenya during the post-election violence that followed the 2007 elections and wanting to say something about what happened. Tribal tensions have always existed in Kenya, and even breakouts of violence, but it is always quickly swept under the carpet and ignored, and I felt moved to say something about it. 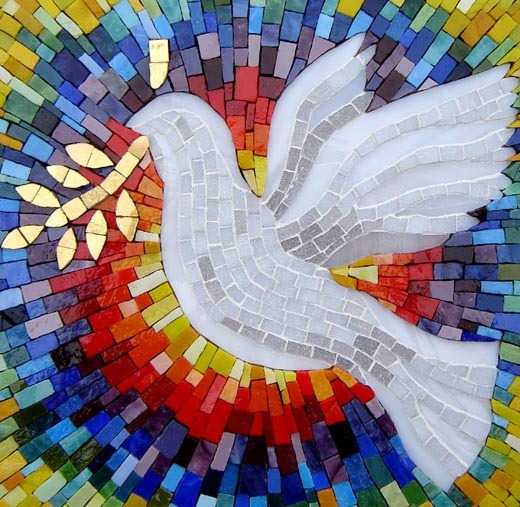 To say something about the fact that there were and are normal Kenyan citizens who are organizing and working towards peace, unity and justice. 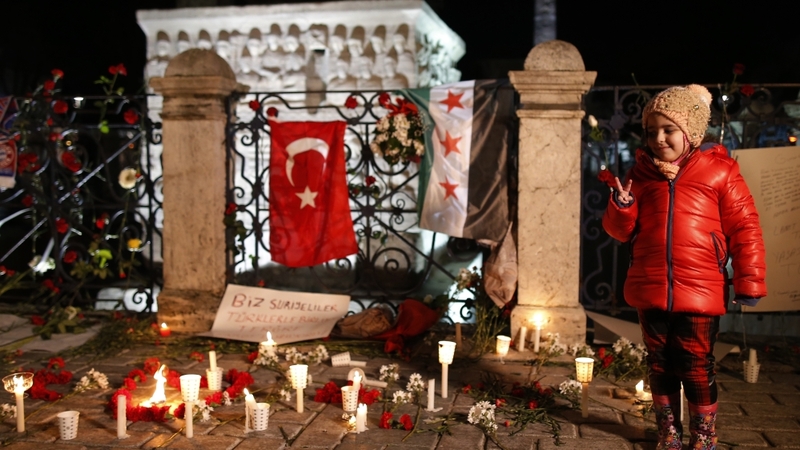 At the time watching any media, it looked like there were only foreign agencies interested in peace/justice while citizens just sat around wringing their hands or ignoring the situation altogether. The film did well and was a wonderful re-learning experience of how independent films can be made given the economic crash and everyone’s scramble to figure out new ways of making work. It was also my first crowdfunding experience which was also wonderful and very hopeful. My only regret with that film is that it has never been shown in Kenya. Anything politically related is sensitive so…maybe in some years I can show it there, as part of some anthology! Soko Sonko came as a result of a few things: a) I was accepted to the Focus Features Africa First program, b) I went to FESPACO with Taharuki, and while I watched the most amazing African films from across the continent, they were all so sad and depressing! ; and c) it was the 10th year anniversary of my father’s passing and I wanted to write a story about my relationship with him. He was a major proponent of my being a filmmaker in the first place, and was a brilliant, funny, remarkable African father, which is also something that is not often showcased about Black men in general. Positive stories about Black men just being Black men. I loved filming Soko Sonko and have loved screening it as well. It is always such a special feeling to watch an audience cringe, grimace and laugh at the characters in the film, but come away feeling hopeful as opposed to scolded. Congratulations on meeting your campaign goal for the film “Farewell meu amor” I am especially drawn to the story because of its focus on the emotional experiences of the immigrant and the family left at home. There is much discussion about the economic and political aspects of immigration, and of course integration into the host country. But the need for love, longing, waiting on both sides, is not given as much attention. Talk about your choice of this topic, your intentions and where you are in the production process. Just when I was sure that I was done with shorts for a while, Soko Sonko won a prize at the Zanzibar International Film Festival which gave $2,000 to shoot a short film and present it at the following year’s festival, which is how “Farewell Meu Amor” came about. Given how small the budget was, my aim was to make something that I could shoot in one day, with one location and two characters maximum. I have had a feature story about immigration mulling in my head for a while based on an experience of a close relative who came to the United States in the mid-90s and lost his visa status before he was able to get his family to join him, but does not want to go back because it feels like he is able to financially provide better from the USA. So the feature story is based on the idea of “WHAT IF the family finally got their visas to come join him? What happens if this wish is finally granted?” “Farewell” then became the prequel to that story, where we get to witness the few hours preceding this major life change. I have just recently finalized the film and am now waiting to hear back from film festivals that I have applied to. For me, “Farewell” shows some growth for me as a filmmaker. It is a very different film from any of the ones I have made before, and also such a wonderful filming experience. I absolutely adored the entire experience from the writing all the way through to the post-production. Thus far I have mostly showed the film to cast, crew and backers, but all the responses have been very strong. It is a ten-minute film that packs a punch! I am really excited about it. How has your Tanzanian-American experience shaped your filmmaking? Aaaah!! My Tanzanian-American experience is everything Beti! Recently I was mentoring some Tanzanian filmmakers on some film shoots, and being surrounded by Tanzanians who were not my relatives was so incredibly refreshing because I finally got to see the Tanzanian-ness in my storytelling style. 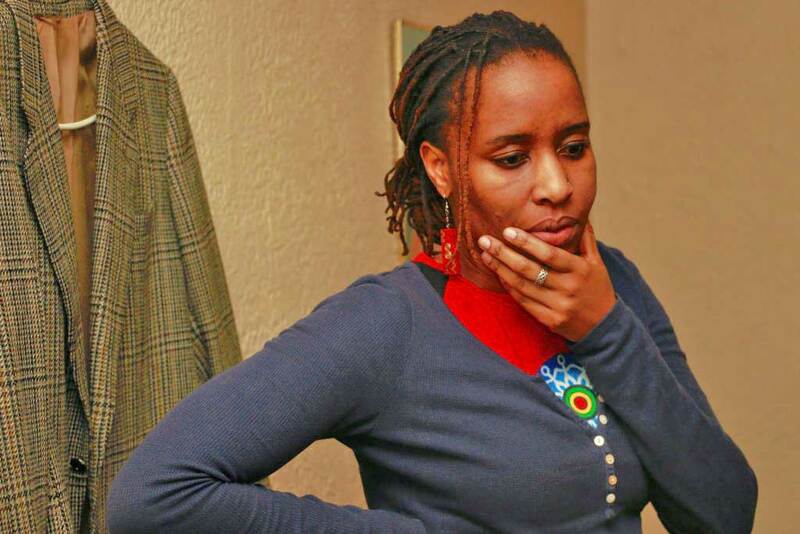 I mean, I think my storytelling is very African in general, but specifically very Tanzanian too. We can tell a story boy! And our stories are all about detail and the emotional connection to the moment and circumstance, not just the list of events. We are all about attention to detail. Even if you listen to the lyrics in our popular music, its not just about “You loved me and left me” but all the details in that loving and leaving that people hang on to. I grew up in Kenya and at that time Tanzania was just coming out of socialism, there was not any television or local film, and most Kenyans knew nothing about Tanzania other than that it was the poor neighbouring country where people did not speak English. I was completely dependent on stories from visiting relatives, and later became the one providing stories to my friends after the holidays, as to what was going on in Tanzania and who my people were. So my Tanzanian-ness is seen in the details that fascinate me in a story, and my Americaness is seen in my aesthetic choices as far as acting style and camera. At least that is what I see it as for now. I imagine as I keep working on my craft, I will create some newness there. I should also say that as a Tanzanian who has lived outside of Tanzania for the most part, I am able to be objective and curious about things that I would possibly take for granted if I were born and raised there, so I appreciate that as well. To me, those are all strengths in my filmmaking. Next steps? You have a feature film project Eastlands in the works. Indeed I do! “Eastlands” is the sequel to “Taharuki” and a little more ambitious as far as the scope of the story, so raising money to produce it has taken a while. I’m RAVENOUSLY working towards my first feature film now and have a few film scripts in development. America is not normally the place where people go to find financing for African films that do not feature Americans running around saving folks, dodging warlords, or finding themselves in the savannahs, and European funders think that filmmakers living in the USA are not “needs-based” enough, so I am busy strategizing private equity options to get something done the way that I want it done. There is so much happening on the continent and in the diaspora, and Africans are really showing themselves in ways that we never did before. There is a real sense of pride and ownership that was not there before that I really enjoy, so I’m excited to be a part of the cadre of African creatives that get to show “us” in all our complexity, beauty, humour and brilliance. Very, very excited about that. A luta continua! 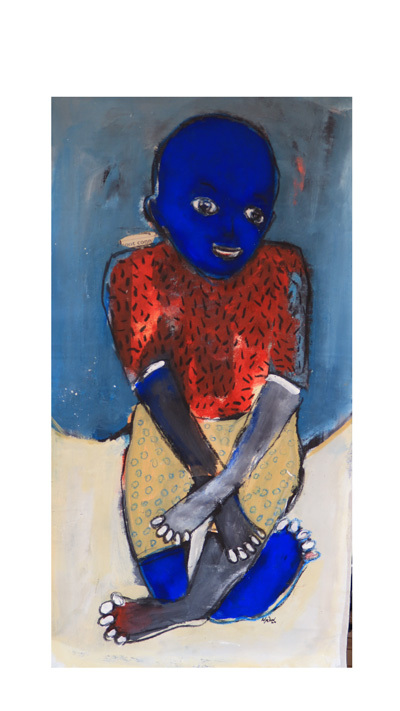 Eight-year-old Aida lives in an apartment in a suburb of Paris. 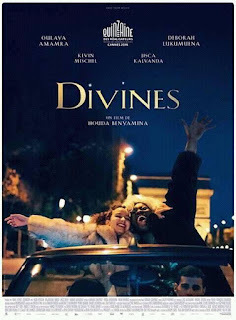 The day her father returns from his trip to Senegal, their country of origin, the daily life of Aida and the whole family is totally disrupted: the father did not return alone, he was accompanied by a young Senegalese woman, Rama, who he presents as his second wife. Aida, sensitive to her mother’s suffering, decides to get rid of the newcomer. Aida, huit ans, habite un appartement de banlieue parisienne. Le jour où son père rentre de son voyage au Sénégal, leur pays d'origine, le quotidien d'Aida et de toute la famille est complètement bouleversé : le père n'est pas revenu seul, il est accompagné d'une jeune sénégalaise, Rama, qu'il présente comme sa seconde femme. Aida, sensible au désarroi de sa mère, décide alors de se débarrasser de la nouvelle venue. In a suburb where trafficking and religion run side by side, Dounia is eager for power and success. Supported by Maimouna, her best friend, she decides to follow in the footsteps of Rebecca, a respected dealer. But when Dounia meets Djigui, a young sensuous dancer, her daily life is disrupted. Dans une banlieue où se côtoient trafics et religion, Dounia a soif de pouvoir et de réussite. Soutenue par Maimouna, sa meilleure amie, elle décide de suivre les traces de Rebecca, une dealeuse respectée. Sa rencontre avec Djigui, un jeune danseur troublant de sensualité, va bouleverser sa vie. Senegalo-American Issa Rae nominated for Best Performance by an Actress in a Television Series - Musical or Comedy in the HBO INSECURE (USA). Issa Rae is also the creator of the series (with Larry Wilmore) and one of the Executive Producers. The series is produced by Issa Rae Productions, Penny for Your Thoughts Entertainment and 3 Arts Entertainment. 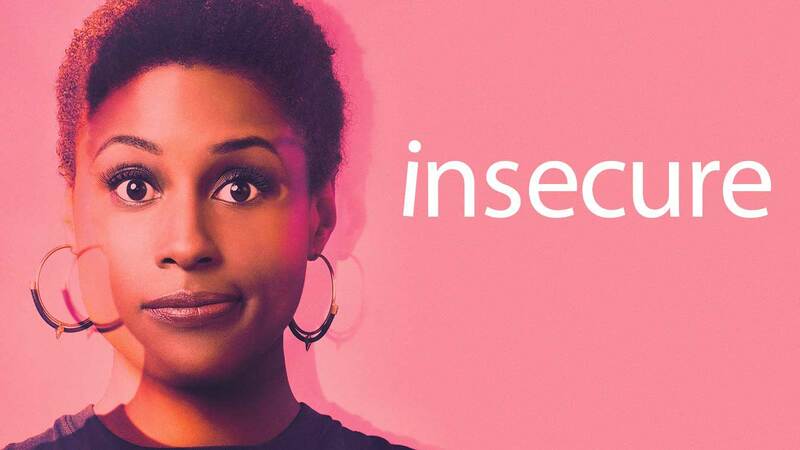 Insecure follows the awkward experiences and racy tribulations of a modern-day African-American woman. Ruth Negga, receives a Golden Globe Award 2017 (USA) best drama actress nomination for her interpretation of Mildred Loving in the film Loving (Jeff Nichols, 2016). Ruth Negga of Irish and Ethiopian parentage, was born in Ethiopia and raised in Ireland. She has received rave reviews for her role as Mildred Loving in the film Loving (2016) by Jeff Nichols. 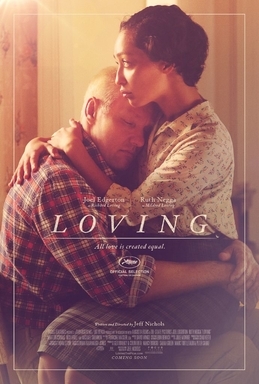 The film is based on the true story of the Lovings, a interracial married couple in the U.S. state of Virginia in the 1950s-1960s. The Lovings’ relationship, deemed illegal during that time due to laws prohibiting interracial marriage, lead to the landmark U.S. Supreme Court civil rights decision Loving v. Virginia (1967), which overturned the anti-miscegenation statute. 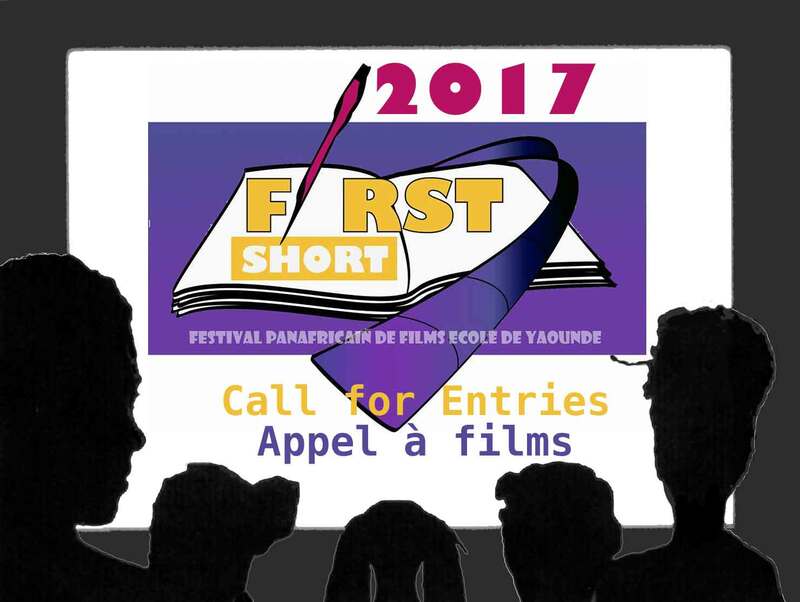 Under the theme “Cinema and Legislation’’, the First Short 4th edition will be held in Yaounde from the 12th to 15th April 2017. It’s an initiative of the Cinevision Association who promotes Arts and culture for Cameroon’s emergence. FIRST SHORT receives films in competition and /or out of competition. Registration to the festival is free of charge. Only the festival’s head office is qualified to rule on unforeseen cases by this regulation. Taking part in FIRST SHORT entails a complete adhesion to its regulation. Le Président de l’Association CINEVISION annonce la quatrième édition du FIRST SHORT (Festival Panafricain de Films d’école de Yaoundé) qui se célébrera dans la ville de Yaoundé du 12 au 15 Avril 2017. 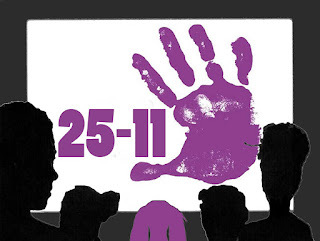 Le festival est dédié aux films d’école courts métrages (fiction, documentaire, animation) allant de 0 à 30 minutes génériques inclus. A United Kingdom (2016) is the true story of the forbidden love of King Seretse Khama of Botswana (David Oyelowo) and Ruth Williams (Rosamund Pike), a white woman from London, which caused an international uproar when they decided to marry in the late 1940’s just as apartheid was being introduced into South Africa. It was a decision that altered the course of African history. Amma Asante of Ghanaian parentage, is a British screenwriter, film director, and former actress. She wrote and directed A Way of Life (2004). Her second film as a director was Belle in 2013. (Source: Wikipedia). 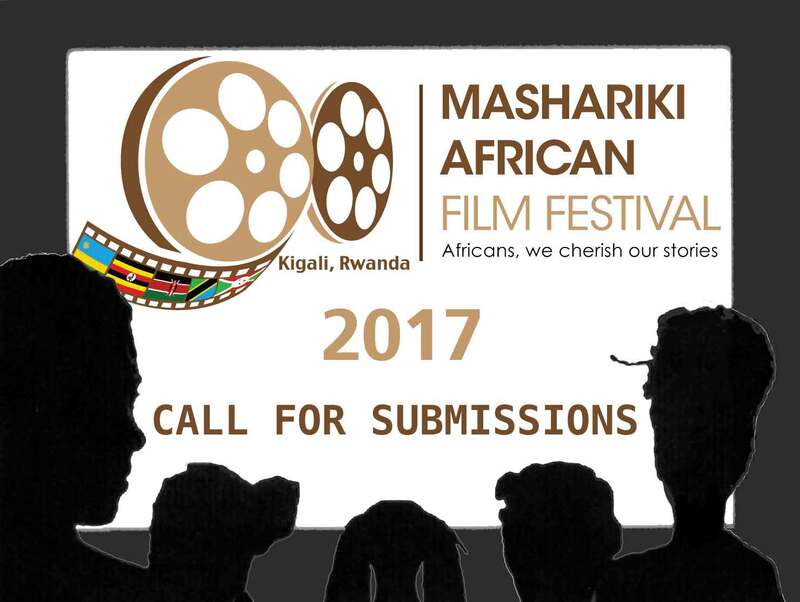 Mashariki African Film Festival, MAAFF, is officially calling filmmakers to submit films for its 3rd Edition that will take place from 25-31 March 2017 in Kigali, Rwanda. 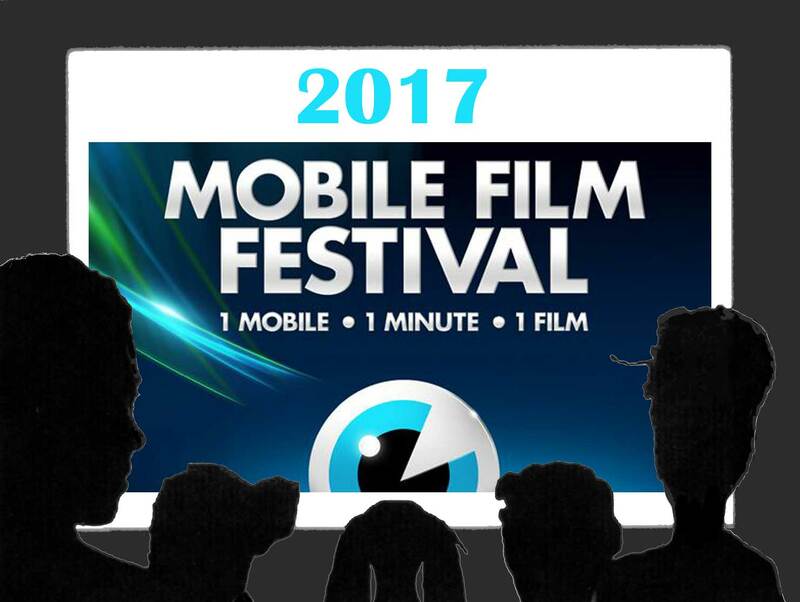 Submissions are FREE for all eligible filmmakers. - Short (fictions and Documentaries): 52 min or less. 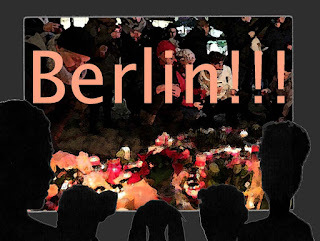 - Be in English or have English subtitles. 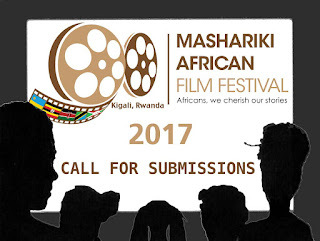 Films and a completed Submission form (click here to download) should be delivered by 16 January 2017 at 6:00 (GMT+2). 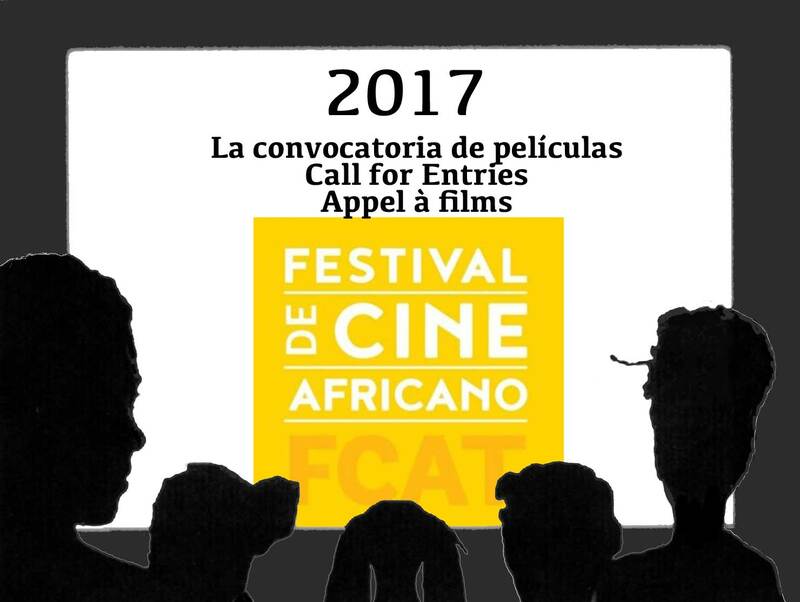 The association of Burkinabè producers for the management of the fonds succès cinéma Burkina Faso launches a call for projects of feature film and documentary films by Burkinabè filmmakers. Several forms of aid valued at nearly 50 million CFA francs will be granted over 3 years. The announcement was made on Wednesday 7 December 2016 during a press conference hosted by filmmaker Gaston Kaboré at the Imagine Institute in Ouagadougou. 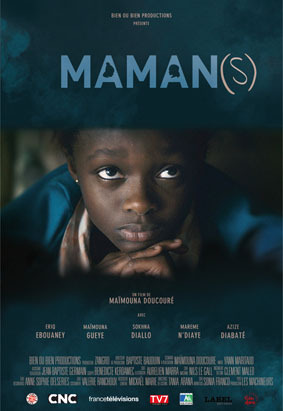 According to Gaston Kaboré, President of the Association of Burkina Faso Producers, the purpose of the funding granted to women's film projects, in partnership with the Swiss cooperation bureau, is to correct the deficit of women's representation in the production and realisation of films. With a total amount of 49 million CFA francs, the funding, financed by the Swiss cooperation, extends over 3 years and is comprised of four components. 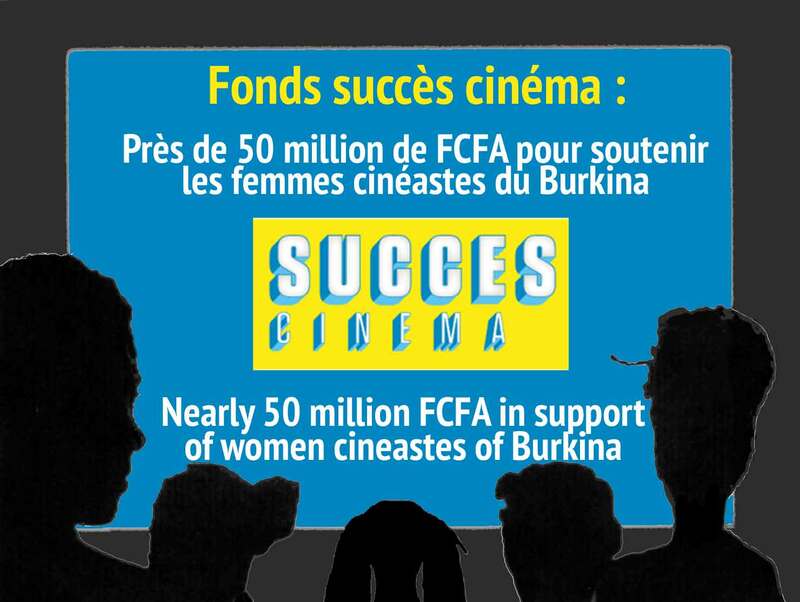 These include assistance in the writing of a total of 9 million CFA francs, assistance for the development of film projects (12 million CFA francs for 12 films), funding for production (24 million CFA francs for 2 films) and support for the promotion of films produced and/or directed by women (4.8 million CFA francs). 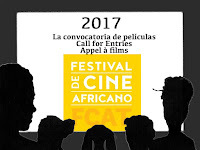 At the present, only funding for scriptwriting is open and the registration for the film projects is open from 7 to 20 December 2016 at the office of the Fonds succès cinéma Burkina Faso located at the Institut Imagine. The president reassured that there would be a further communication on other aid in due course. "We are announcing this information in advance so that those who have projects may prepare." he said. For the scriptwriting funding, the nine finalists of the selected film projects will receive funding of one million CFA francs each. The criteria for submission are, among others, to be a woman, or several women authors, of Burkinabè nationality. The funding covers film and feature film projects and documentary films. The project must express a unique view of the subject, the choice of treatment explored by the author and the desired research topic, and a strong methodology and an artistic perspective on the subject. "The funding of the scriptwriting does not take any editorial position nor favors any particular topic. It distinguishes the quality of the project and the work already done but above all, encourages the author to continue her writing, an essential step to complete her work, "said Gaston Kaboré before making a call to women interested in submitting their applications. 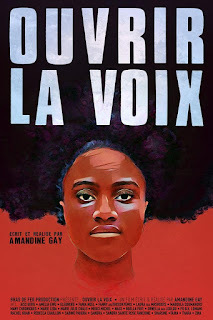 In Ouvrir La Voix [Speak Up/Make Your Way], researcher and documentarist Amandine Gay gives voice to the black women in France and Belgium. At the intersection of discrimination practices resulting from their gender and colour, these women denounce the racism, sexism and misogyny to which they are subjected on a daily basis. These testimonies, not often heard in public space, highlight the difficulties specific to black women in a white world. The documentary will be screened beginning 8 December, in several theatres in France, Switzerland and Belgium. 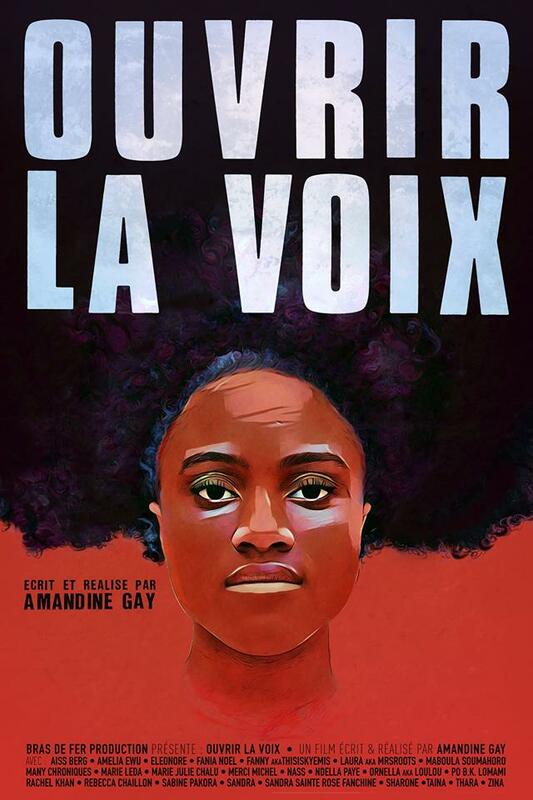 Dans Ouvrir la voix, la chercheuse et documentariste Amandine Gay donne la parole à des femmes noires en France et en Belgique. A l’intersection de discriminations liées à leur sexe et à leur couleur, ces femmes dénoncent le racisme, le sexisme et la misogynie subis au quotidien. Des témoignages rares dans l’espace public et qui mettent en lumière les difficultés propres aux femmes noires dans un monde blanc. Le documentaire sera projeté dans plusieurs salles en France, en Suisse et en Belgique à partir du 8 décembre. 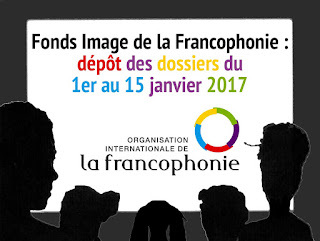 La prochaine commission audiovisuelle du Fonds Image de la Francophonie aura lieu en avril 2017, comme prévu initialement. En revanche, le dépôt des dossiers est décalé d'un mois. Il aura lieu du 1er au 15 janvier 2017. Une nouvelle version du règlement du Fonds sera mise en ligne dans le courant du mois de décembre. 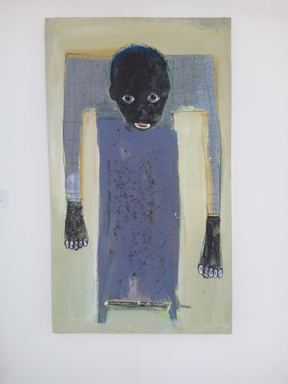 Adjaratou Ouedraogo of Burkina Faso talks about her evolution as an artist, from painting to animation. Adjaratou Ouedraogo de Burkina Faso, parle de son évolution d’artiste, de la peinture à l’animation. Adja, after painting which is your first medium of creative expression, you have now included animation in your artistic repertoire. Your paintings have been exhibited in many venues and you have travelled widely to present your work. 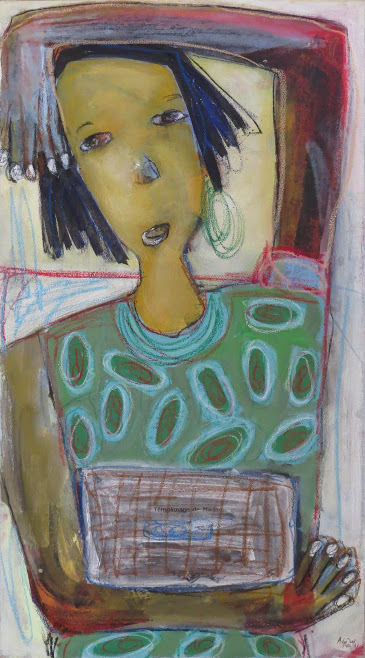 What role did art play in your life while growing up? I have always been timid, and it is has been rather difficult for me to bring out my feelings verbally. Art for me is a great way to express my feelings regarding the world. It gives me the opportunity to live extraordinary things in a universe of my own. 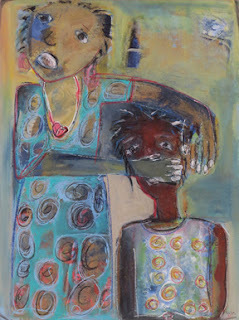 I can then share my experiences through the messages of art. So that is how you developed an interest in painting? Yes, as a child, drawing was a medium of expression for me. I drew all day long, since I practically never communicated with the people around me. This sentiment was enhanced when I was sad and when I could not express to others what was happening to me. The absence of my mother at 9-10 years, an age that every child needs their parents close to them in order to flourish, has always led me to feel alone even with my two younger brothers. Who were the key people in the development and realisation of your interest in art? I would say that I made art without realising that it was a means of expressing my feelings, a means of communication with the world, and I was doing it through drawing. 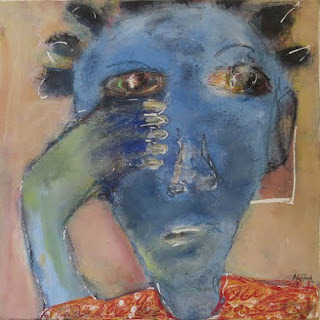 This is does not mean that what I am expressing today is so very different but there is a progression in terms of conveying the message of communicating with the outside world than when I first began. Of course I will always remember the people who surrounded me when I started drawing, these people of course will recognise themselves. Drawing is a fundamental aspect of animation, tell us about your interest in animation and the role that drawing / painting played in this process? I already stated to you that drawing was a means of expressing the transmission of my messages to the world, and I always worked towards advancing my craft. It is within this context that in 2008 I participated in a training programme in animation technique at the Institute Imagine of Ouagadougou. It was a beautiful experience, which allowed me to appreciate the fact that I could also transmit my ideas through animation, which seemed to me to be more alive and communicative. 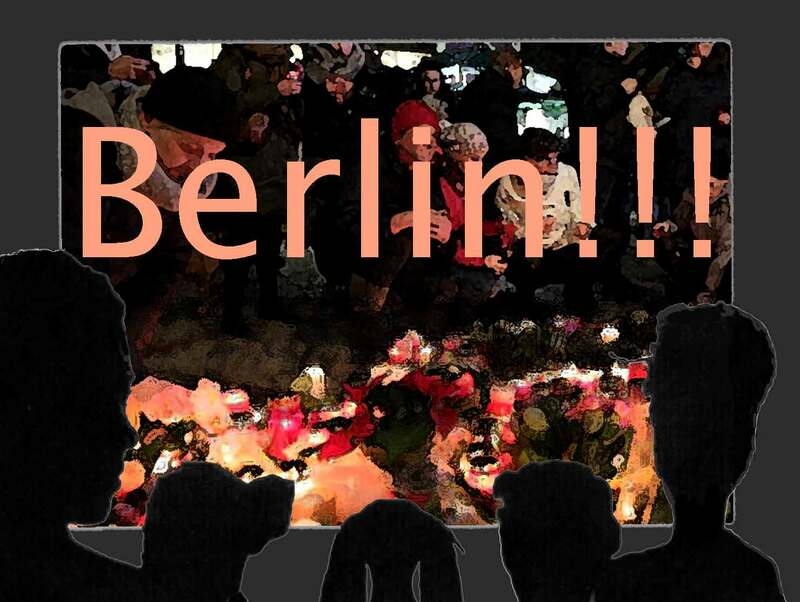 For me it would be exciting for the spectator to also discover my painting in my animations. Moreover, I paint the designs and motifs of the clothes of the characters on canvas and I used it in my animations. 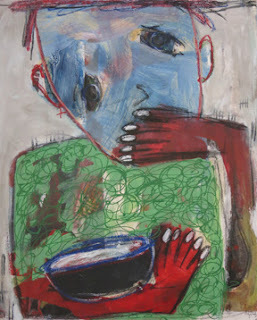 Animation through drawing and painting is a way to express ideas and feelings. While The Pencil is your first film, would you say that your way of telling stories is heightened through this mode of expression? A picture contains a message, in fact; I love to make paintings, which gives me the feeling that I am in a new and first experience. For me The Pencil, although it is my first animation film, I have been able to bring out more emotions and to convey more messages. Compared to my paintings, well, I will let the public decide. 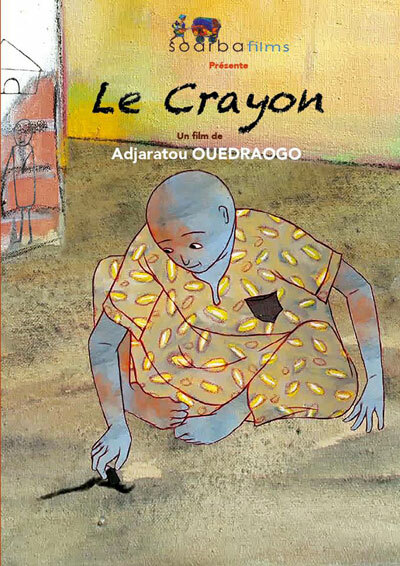 The Crayon is a story so beautiful narrated in just 4 minutes 30. The narration of the film recalls the oral tradition that is found in many African societies, as well as the music of the griot. Talk about the scenario and why you chose to tell it this way? Africa is full of resources, through its history it has always been handed down from generation to generation by the griots, the guardians, the carriers of African wealth. For a first I bring out this traditional side of the African continent. And this explains the reasons why the production was done this way. Do you plan to have versions of the film in other languages? I am thinking of African languages ​​in particular? Although there is some cost to produce multiple versions, would you say that animated films allow more possibility to distribute in several languages ​​across Africa? One of the great riches of Africa is its linguistic diversity. "The Pencil" is produced in French and subtitled in English, which does not mean that we have omitted African languages, but rather, have created an opening across the world, I am currently in the conceptual stage for my next film in Mooré, one of the most widely-spoken languages of Burkina Faso. 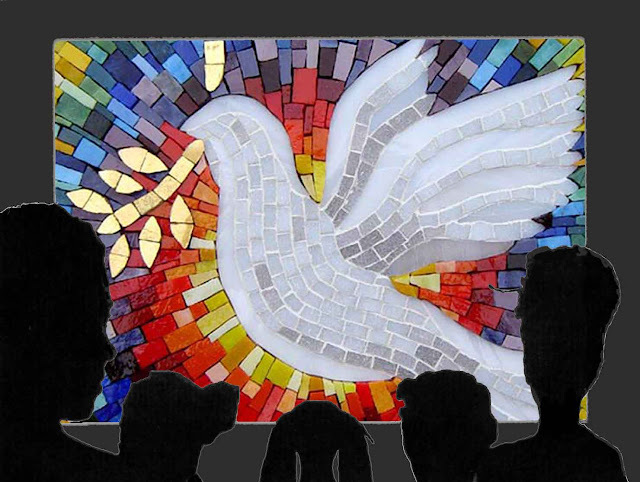 Are you considering transmedia projects, which include animated films, paintings and books? 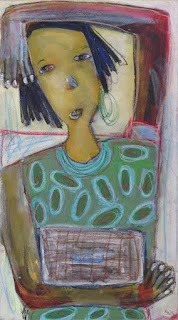 I envision projects that encompass both my animated films and my paintings. At this moment I am thinking about making an exhibition of the paintings, which will be a springboard to the actual production of the film the day of its first screening! I have more interest in painting than in writing, but perhaps in the future I may produce books for children. I will reveal that I am currently in the pre-production stage of my next animation film, which will address the delicate topic of children abandoned to fend for themselves on the street. Currently I do not have funding for the production but if it takes too long for the financing I plan to find my own means to fund it. Interview with Adjaratou Ouedraogo by Beti Ellerson, November 2016. Adja, après la peinture qui est ton premier mode d’expression créatrice, tu as maintenant inclus l'animation à ton répertoire artistique. Tes peintures ont été exhibées dans de nombreux espaces et tu as beaucoup voyagé pour présenter ton art. En grandissant, quel rôle l'art a-t-il joué dans ta vie ? Qu’est-ce qui a inspiré ton intérêt pour la peinture ? J’ai toujours été timide; il m’est pour la plus part du temps difficile de faire ressortir mes sentiment oralement. L’art pour moi est un grand moyen d'exprimer mes sentiments vis-à-vis du monde. Il me permet de vivre des choses extraordinaires dans un univers propre a moi. Je partage alors mon vécu à travers les messages de l’art. Donc, c’est la raison pour laquelle tu as développé un intérêt à la peinture ? Oui, le dessin a été pour moi un moyen d’expression étant enfant. J’ai dessiné à longueur de journée. Car ne communiquant presque pas avec les personnes autour de moi, cela se faisait plus ressentir quand j'étais triste et quand je n’arrivais pas à exprimer aux autres ce qui m'arrivait. L’absence de ma mère à 9-10 ans, un âge où tout enfant a besoin de s'épanouir auprès de ses parents, cela m'a toujours amené à me sentir seule avec mes deux petits frères. Quelles ont été des personnes clés dans le développement et la réalisation de ton intérêt pour l'art ? Je dirai que je faisais de l’art sans me rendre compte que cela était un moyen d’expression de mes sentiments, un moyen de communications avec le monde et je le faisais avec le dessin. Cela ne veut pas dire que ce que j’exprime aujourd’hui est très différent mais il y a plus d'amélioration dans la manière de transmettre le message de communiquer tout court avec le monde extérieur qu’à mes début. Je ne peux oublier toute les personnes qui étaient autour de moi quand je débutais en dessin ces personnes se reconnaîtront. rôle que le dessin / la peinture a joué dans ce processus ? Je t’avais signifié que le dessin était un moyen d’expression de transmission de mes messages au monde, pour cela j’ai mis tout en oeuvre pour son amélioration. C’est dans ce cadre que j’ai pris part en 2008 à une formation en technique de cinéma d’animation à l’Institut Imagine de Ouagadougou. Ce fut une belle expérience. Ce qui m’a permis de comprendre que je pouvais aussi transmettre mes messages avec l’animation, ce qui m'a paru plus vivants et parlant. Pour moi il serait intéressant que l’on retrouve ma peinture dans mes animations. Ainsi j'ai peint les décors et les motifs des habits des personnes sur toile et je l’ai utilisé dans mes animations. L’animation à travers le dessein et la peinture est un moyen d'exprimer des idées et des sentiments, bien que Le Crayon est ton premier film, dirais-tu que ta façon de raconter des histoires est accentuée à travers cette mode d’expression ? Un tableau renferme un message d'ailleurs j’adore faire des tableaux. Je suis dans une nouvelle et première expérience. Pour moi Le crayon bien qu'étant le premier, j’arrive à faire ressortir plus d'émotions et à transmettre plus de message. Cela comparé à mes tableaux, je laisserai le public en décider. Le Crayon est une histoire si bellement racontée en seulement 4 minutes 30. La narration du film rappelle la tradition orale qui se trouve dans de nombreuses sociétés africaines, ainsi que la musique du griot. Parle nous du scénario et des raisons pour lesquelles tu as choisi de le réaliser de cette façon? L’Afrique regorge de bon nombre de ressources, à travers son histoire qui a toujours été transmise de génération en génération de façon orale par les griots gardiens, détenteurs de la richesse africaine Pour une première j’ai fais ressortir ce côté traditionnel du continent africain. Et c’est ce qui explique les raisons pour lesquelles la réalisation s'est faite de cette façon. Prévois-tu d'avoir des versions du film dans d’autres langues? Je pense aux langues africaines en particulier ? Bien qu'il y ait un certain coût nécessaire pour produire des multiples versions, dirais-tu que les films d'animation permettent plus de possibilité de distribuer en plusieurs langues à travers l'Afrique ? Une des grandes richesses de l’Afrique c’est la diversité linguistique. Le Crayon est produit en français et sous-titré en anglais. Cela ne veut pas dire que nous ayons omis les langues africaines, mais une ouverture à travers le monde, je suis actuellement dans une perspective de réaliser mon prochain film en Mooré une des langues les plus parlées du Burkina Faso. 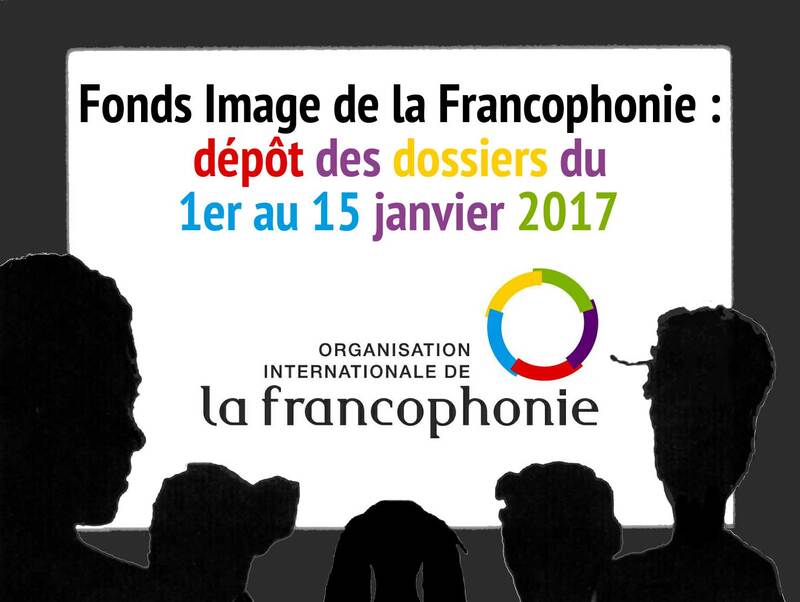 Envisages-tu des projets transmédias, qui englobent à la fois des films d'animation, des peintures et des livres ? Je suis dans cette perspective des projets qui englobent à la fois mes films d’animations ainsi que mes peintures. Sur cette lancée je pense faire une exposition des tableaux qui serviront à la réalisation du film le jour de sa première projection ! J’ai plus d'intérêt pour la peinture que pour l'écriture il se pourrait qu’à l’avenir je réalise des livres pour enfants. Il faut dire que présentement je suis sur la pré-production de mon prochain film d’animation qui va aborder un sujet sensible « la situation des enfants abandonnés à eux-mêmes dans la rue ». Actuellement je n’ai pas de financement pour sa réalisation mais je compte arriver au bout avec mes fonds propres si le financement se fait trop attendre. Interview avec Adjaratou Ouedraogo par Beti Ellerson, Novembre 2016.